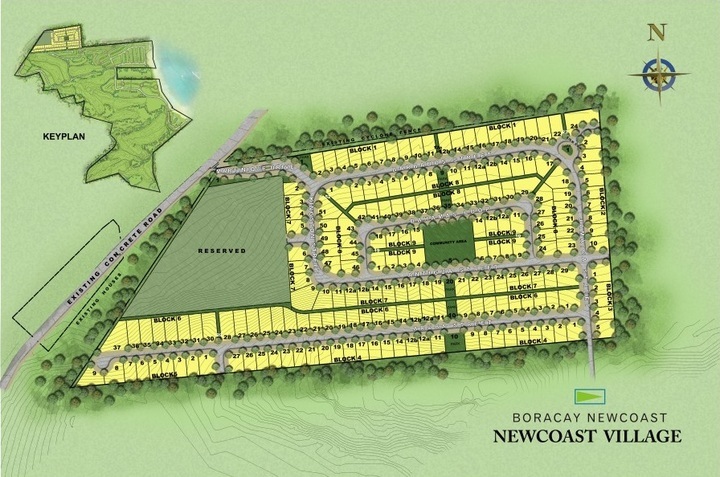 Boracay Newcoast, 140 hectares, includes the only Golf Course in Boracay. 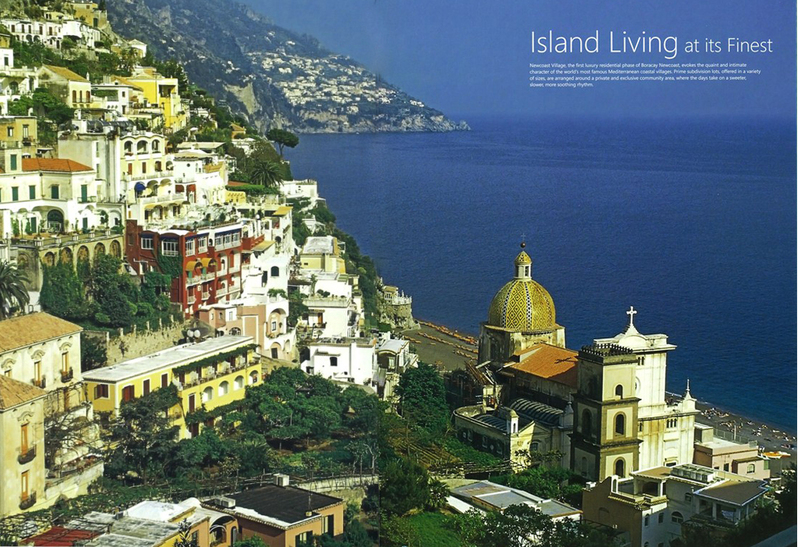 This is the single largest piece of land that spans approximately 14% of the island. 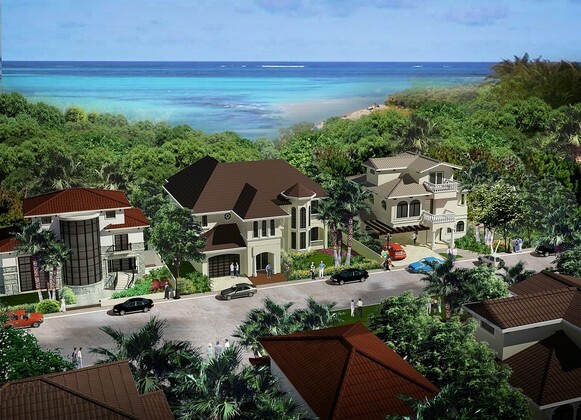 Situated at the northeastern part of beach paradise, this modern master-planned community is inspired by the world’s top leisure and holiday destinations such as Santorini, Greece, and Ibiza in Spain to name a few. Boracay Newcoast is where virgin coves and pristine white beaches abound while setting a natural backdrop for complementing cultures and influences. 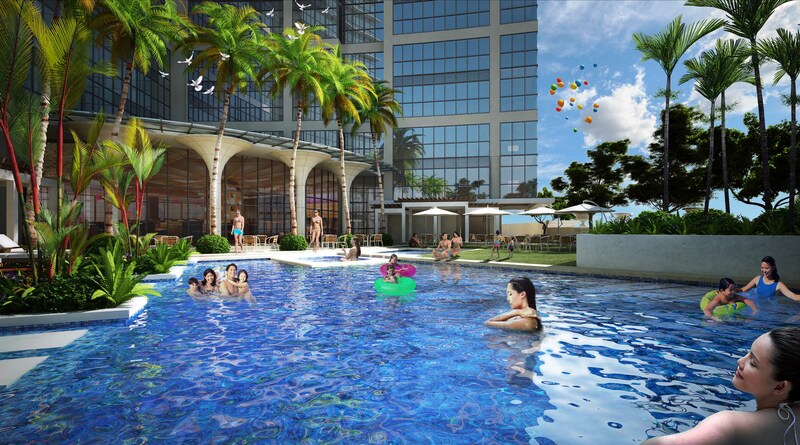 At the center of Boracay Newcoast’s one kilometer white beach is Newcoast Station, a massive entertainment center replete with vibrant shops and bars. 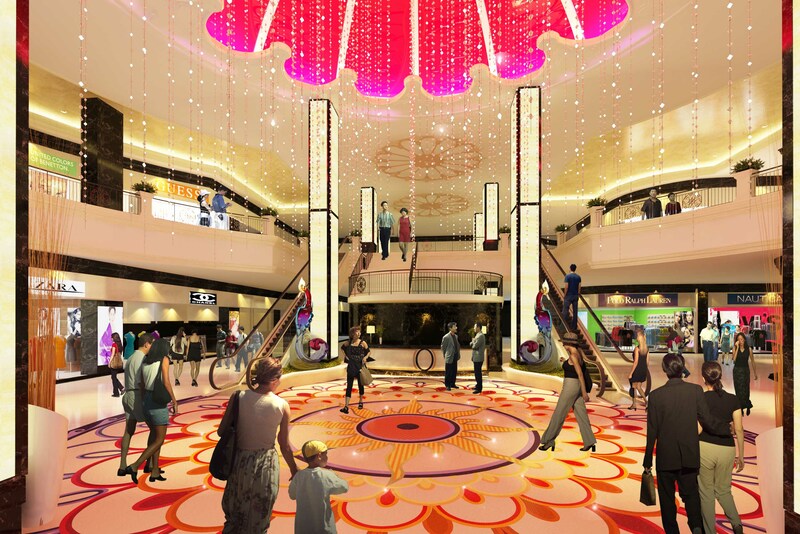 World travelers can expect a truly unprecedented leisure experience in this exciting new face of Boracay. 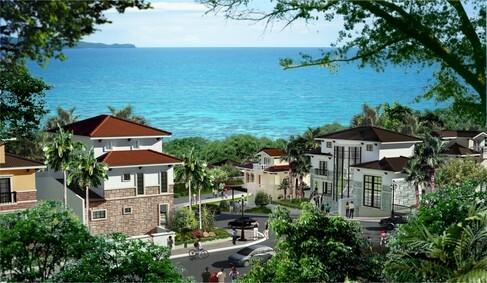 Apart from travelers, Boracay Newcoast also presents an opportunity for those interested in owning a piece of the action. 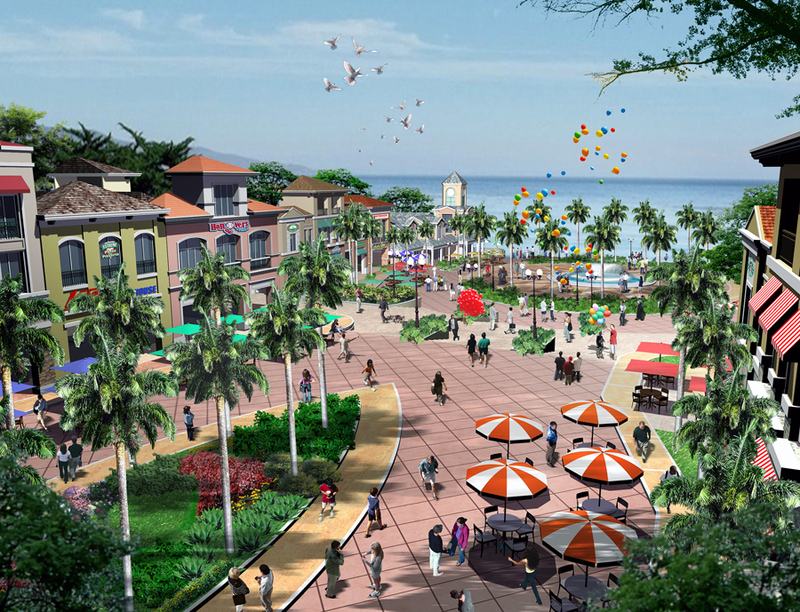 Be part of the new FACE of BORACAY. 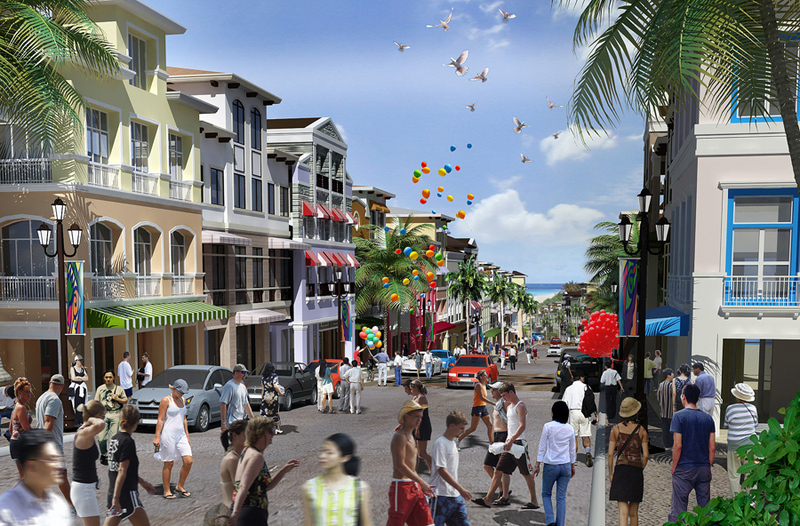 * Commercial lots for your own establishments! 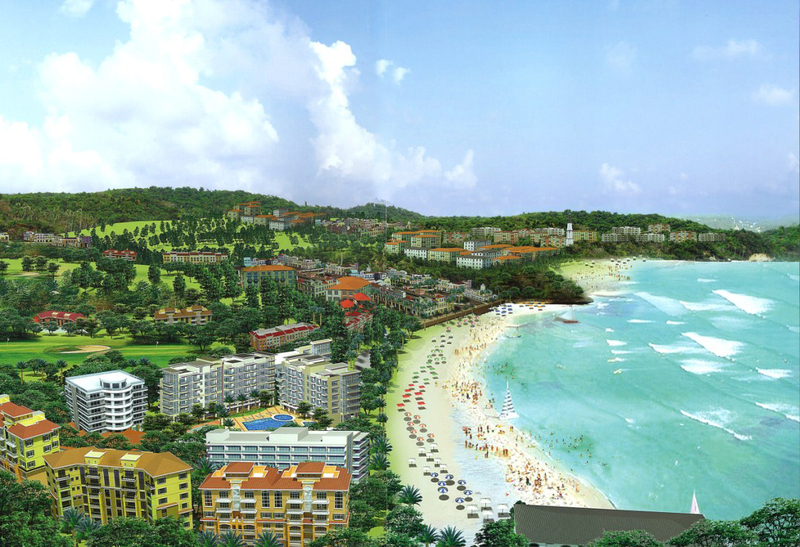 Boracay New Coast will be marketed as a prime tourist attraction not only in the Philippines, but in the world. 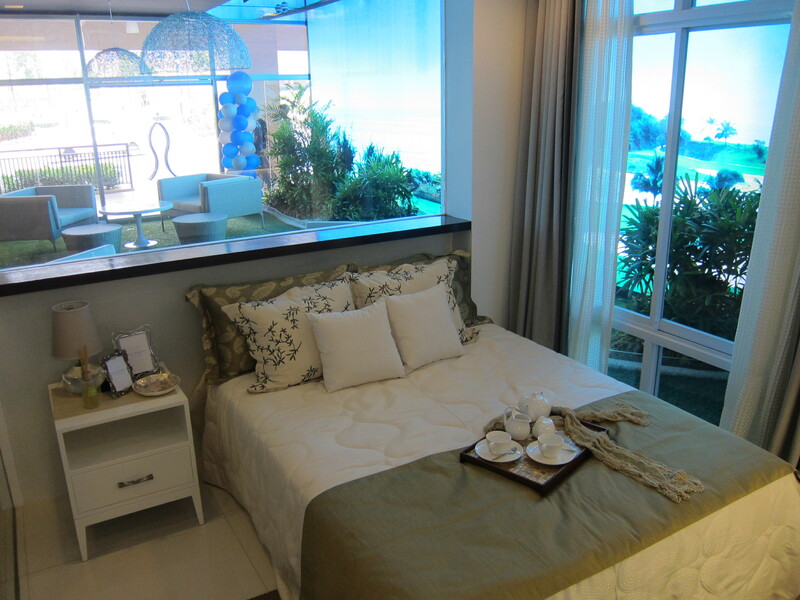 This entry was posted in Boracay Newcoast, Leisure Projects and tagged Beach, Beachfront, Boracay, Boutique Hotel, condo, Condos, For Sale, investment, megaworld, Newcoast, Oceanway, philippines, preselling, Shophouse on November 19, 2013 by Real Estate MNL Author. 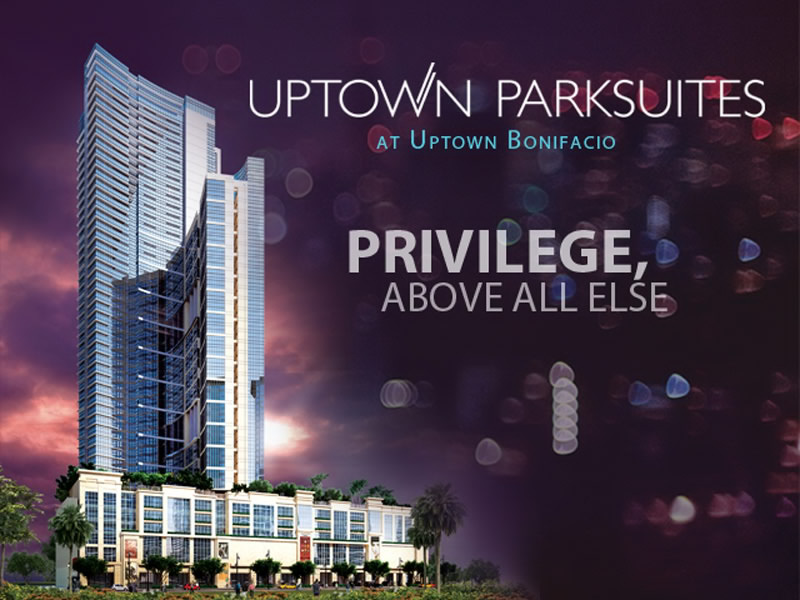 Third of the luxurious condominiums at Uptown Bonifacio is Uptown Parksuites, where privilege is put above all else. 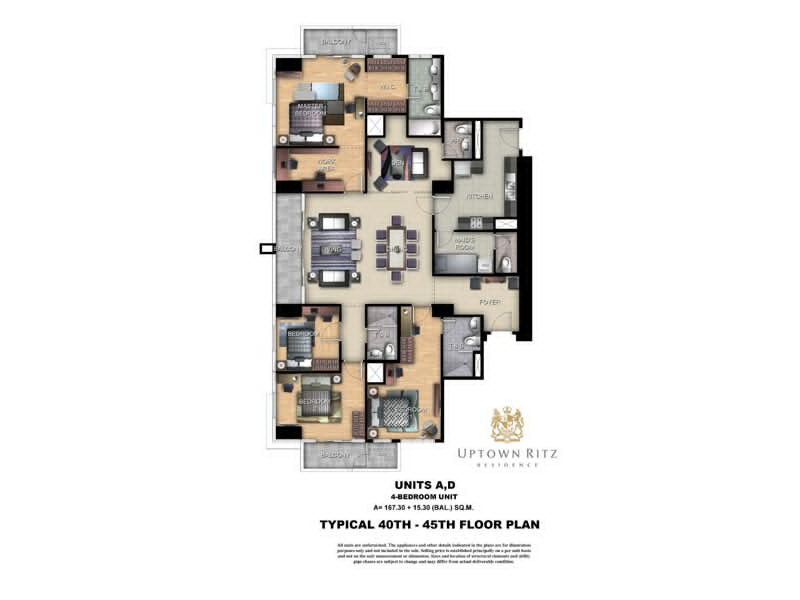 Standing at 50-storeys, the condominium offers 1 to 4 bedroom units and boasts comprehensive amenities that prioritize comfort to the utmost. 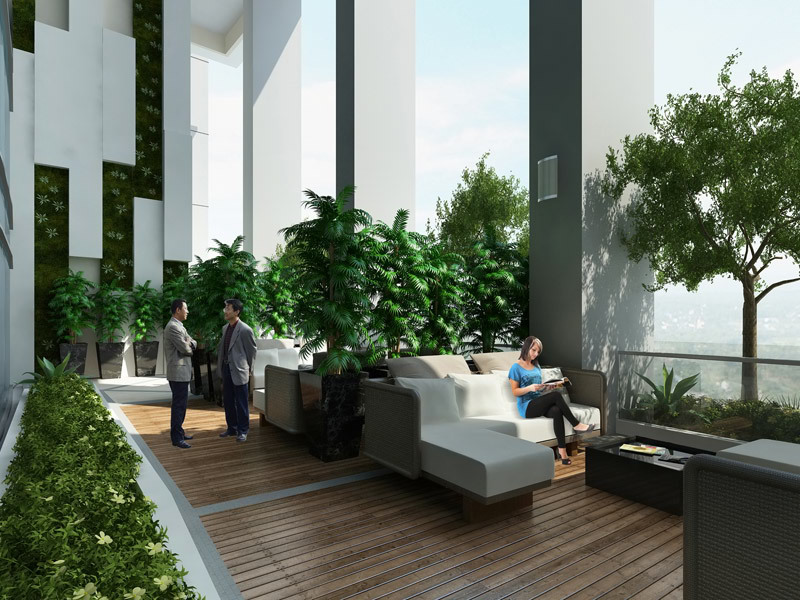 A unique feature of this development, spacious and comfortable sky lounges are found on six of the residential levels. 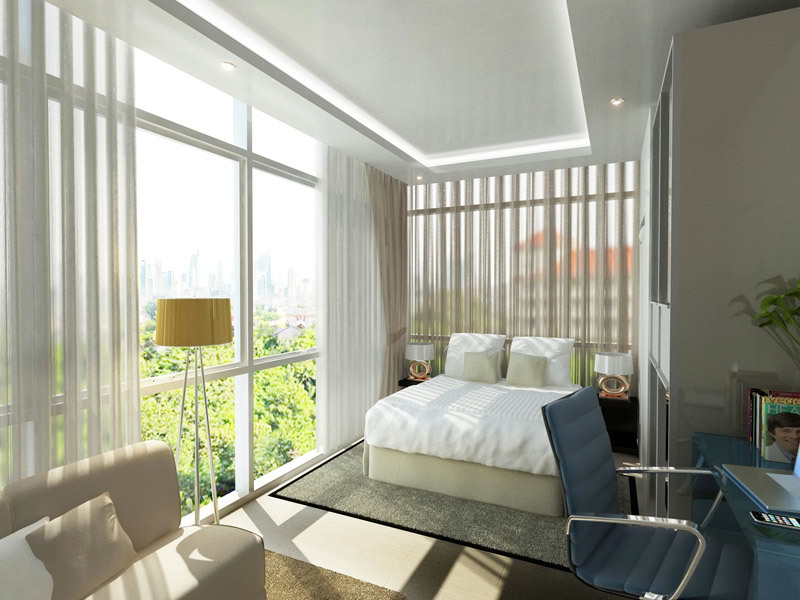 This allows residents to rest and relax in a serene enclave towering above the cityscape. 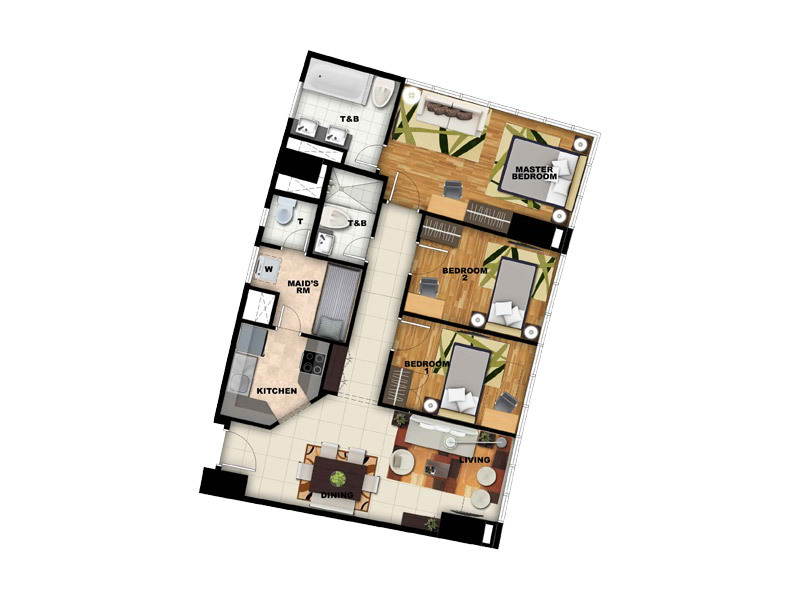 Further amenities are found on the 5th floor amenity deck that features wifi internet access. 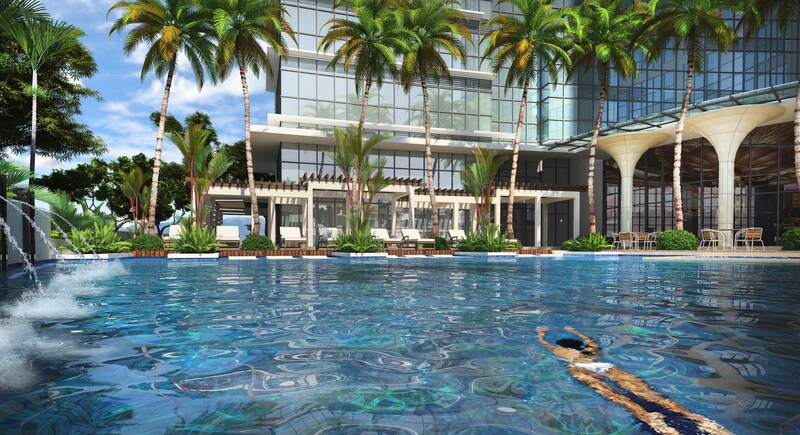 These amenities include a swimming pool and spa complex with an in-pool lounge and wooden sundeck, a meditation area, a reflexology walk, a gym and fitness center, an outdoor fitness area, a children’s playground and daycare, a game room, a picnic and hammock area, a dry garden, a reading nook, a business center, a laundromat and a multi-purpose hall with pre-function areas. 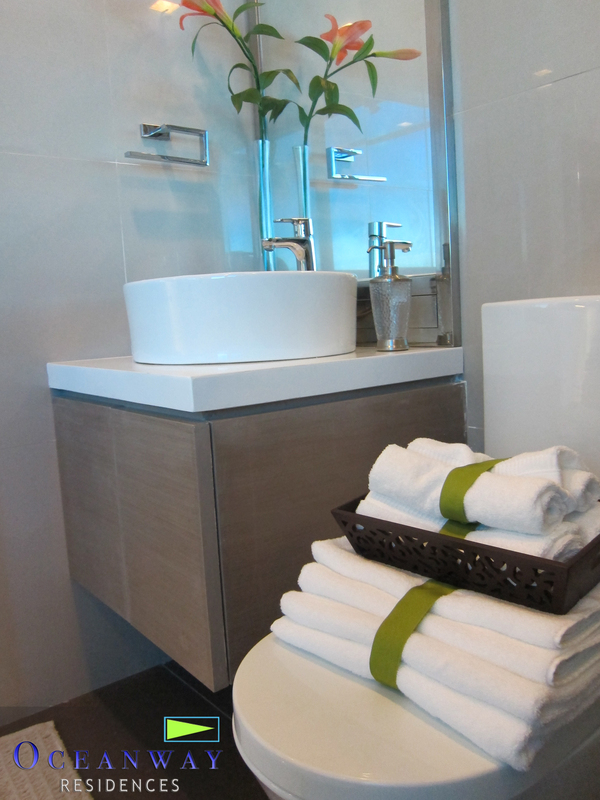 This interpretation of modernity caters to those who appreciate all the best comforts the world has to offer. 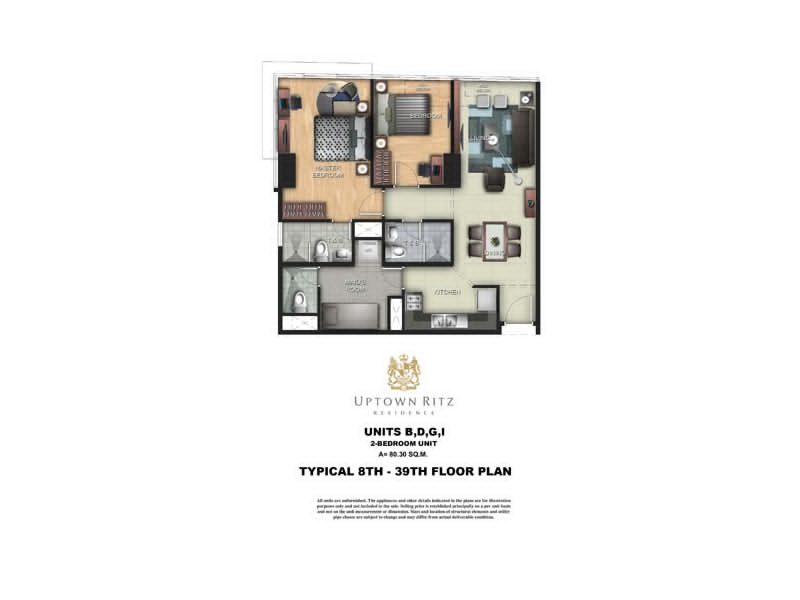 While the building itself houses comprehensive leisure features, the township offers the best of the cosmopolitan lifestyle with top international business and commercial establishments. 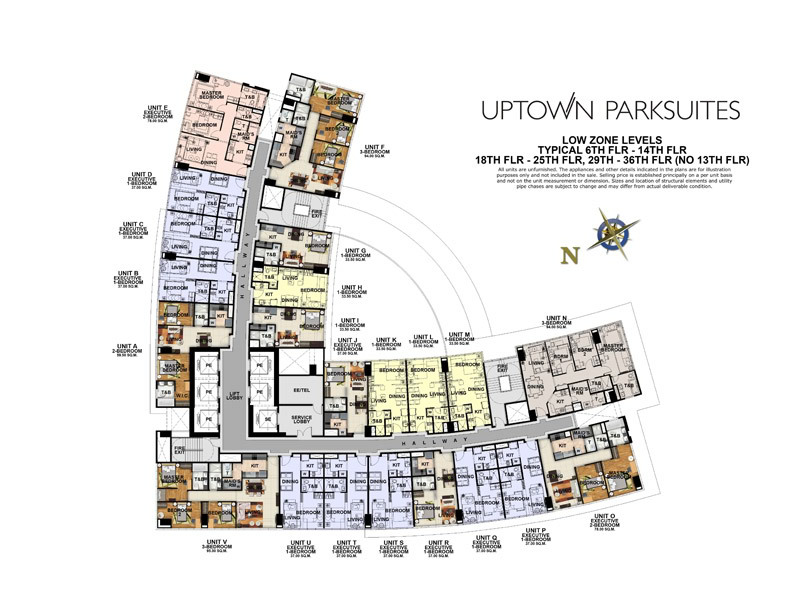 Cosmopolitanism has found a home at Uptown Parksuites, the privileged face of luxury. 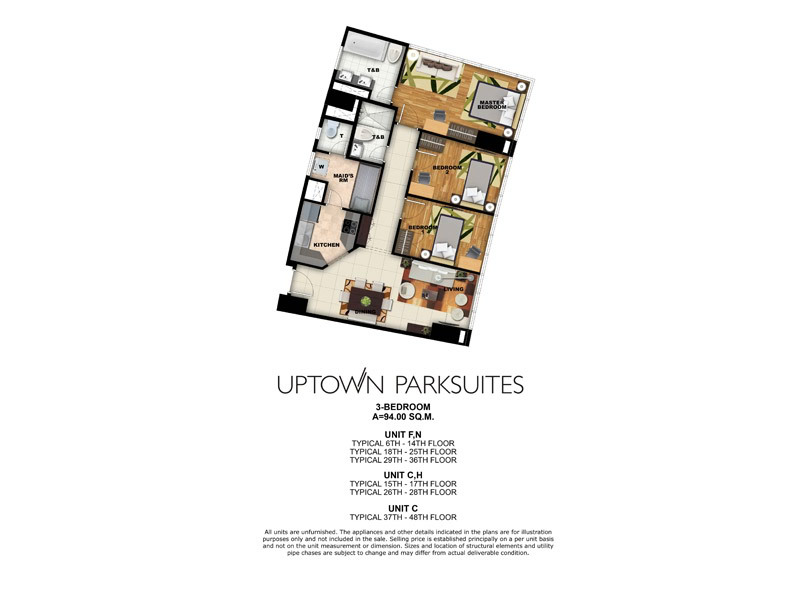 One bedroom units at Uptown Parksuites include a sleeping den, a combined living and dining area, a functional kitchen and a full bathroom. 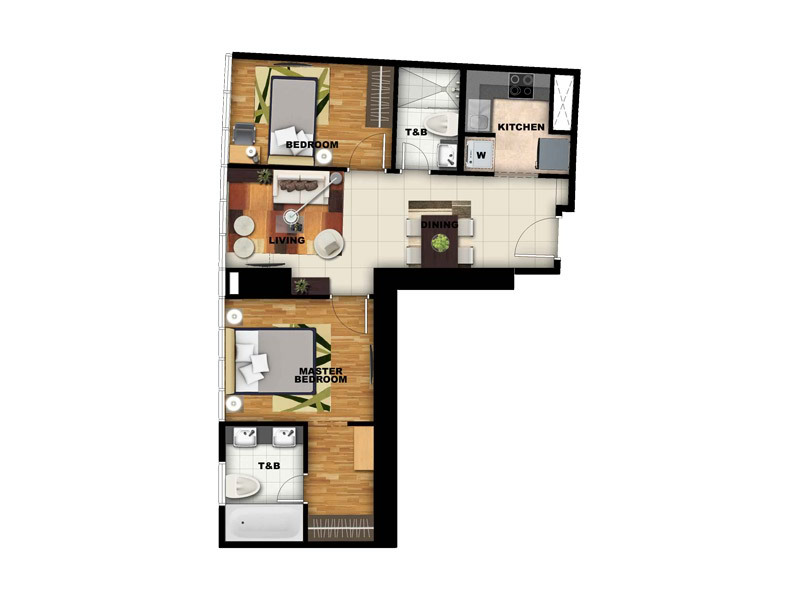 Units are 33.5 square meters. 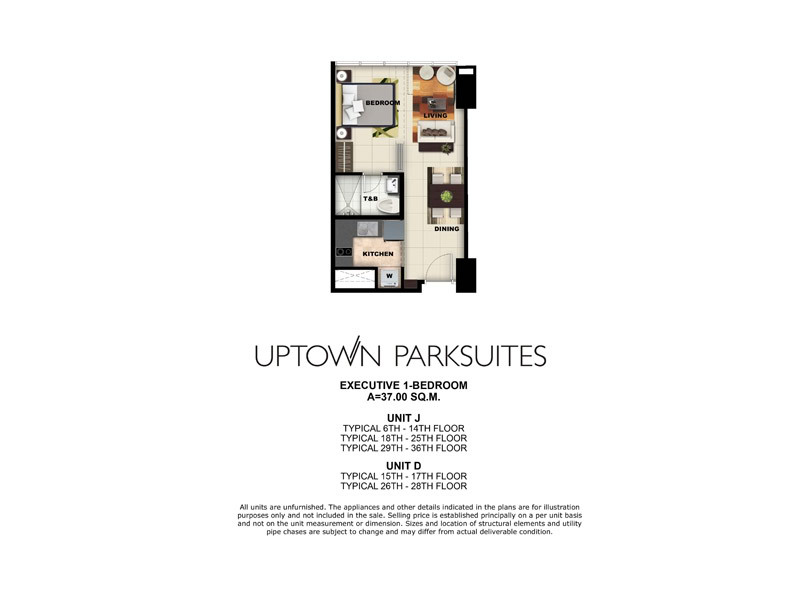 Executive one bedroom units at Uptown Parksuites include a sleeping den, a combined living and dining area, a functional kitchen and a full bathroom. 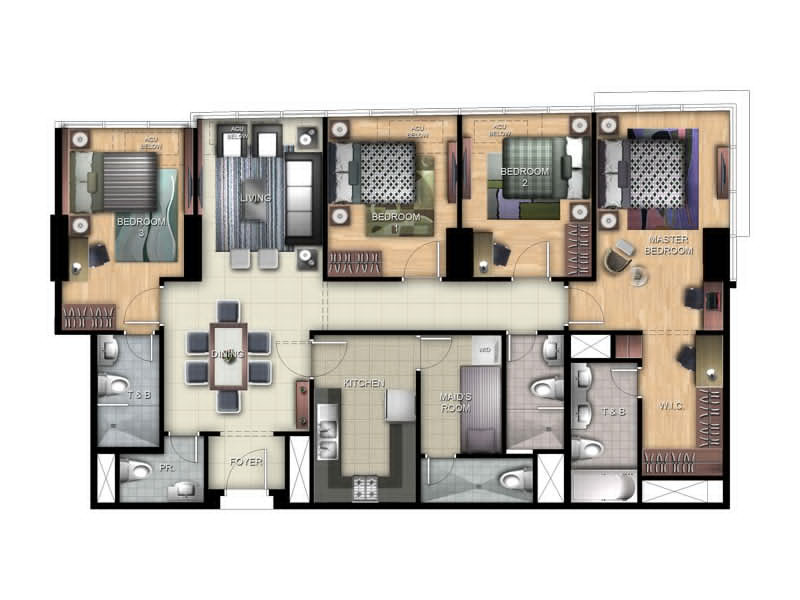 Units are 37 square meters. 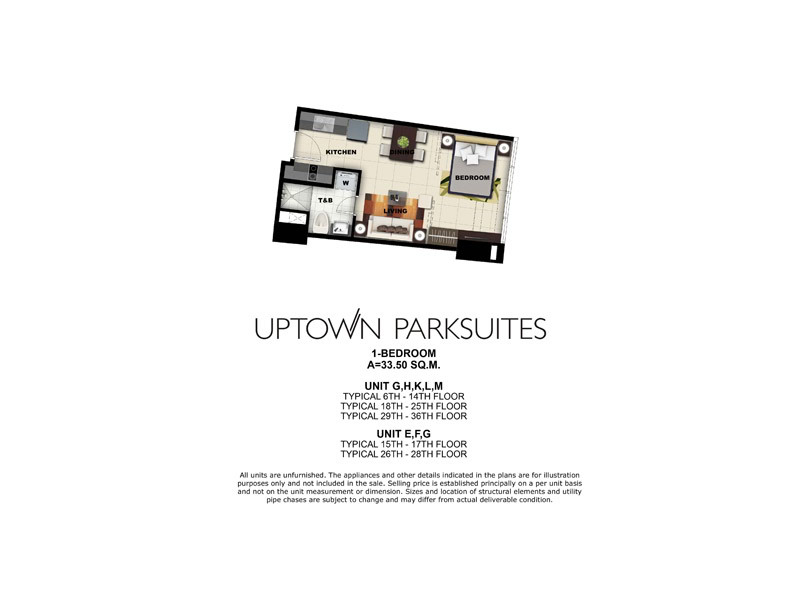 Two bedroom units at Uptown Parksuites include a masters bedroom with full bathroom with bathtub, an additional bedroom and common bathroom, a functional kitchen attached to a maid’s quarters with a dedicated toilet, and finally, a spacious living and dining area. 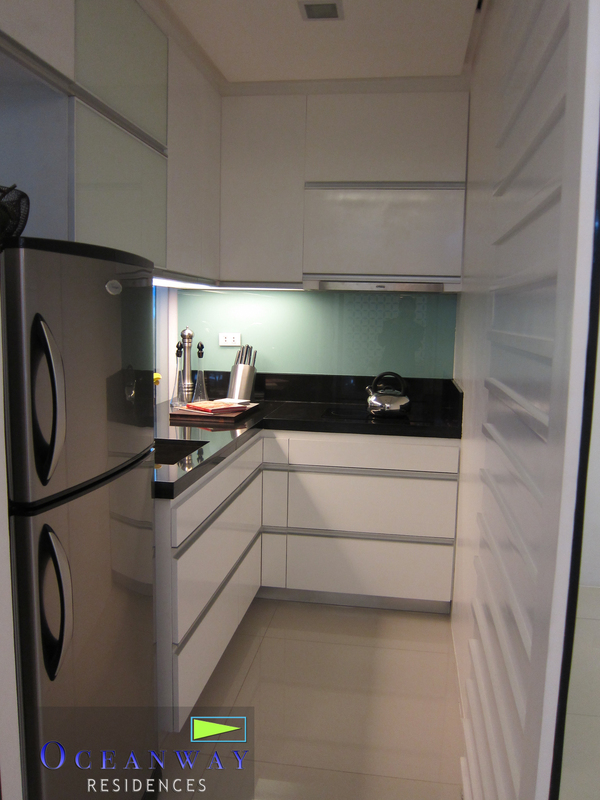 Units range between 59.5 and 78 square meters. 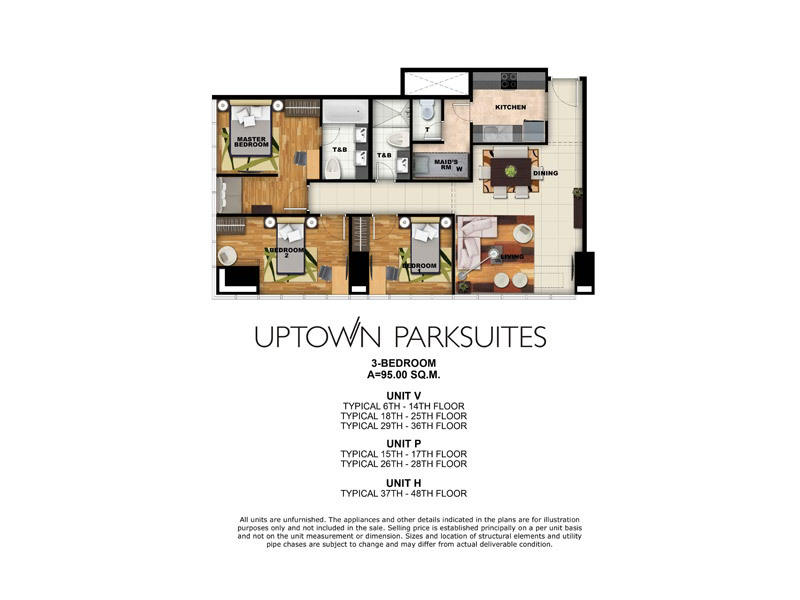 Three bedroom units at Uptown Parksuites include a master’s bedroom with full bathroom with bathtub, two additional bedrooms and shared common bathroom, a functional kitchen attached to a maid’s quarters with a dedicated toilet, and finally, a spacious living and dining area. 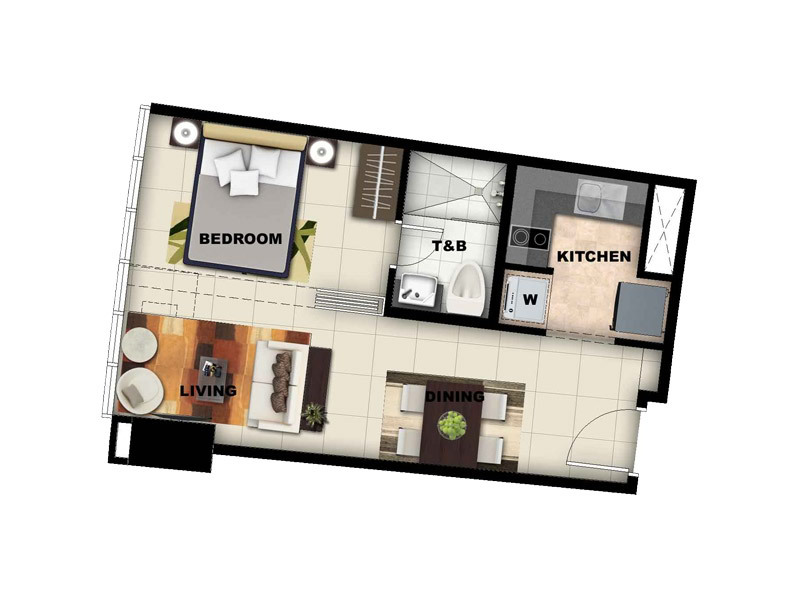 Units range between 94 and 95 square meters. 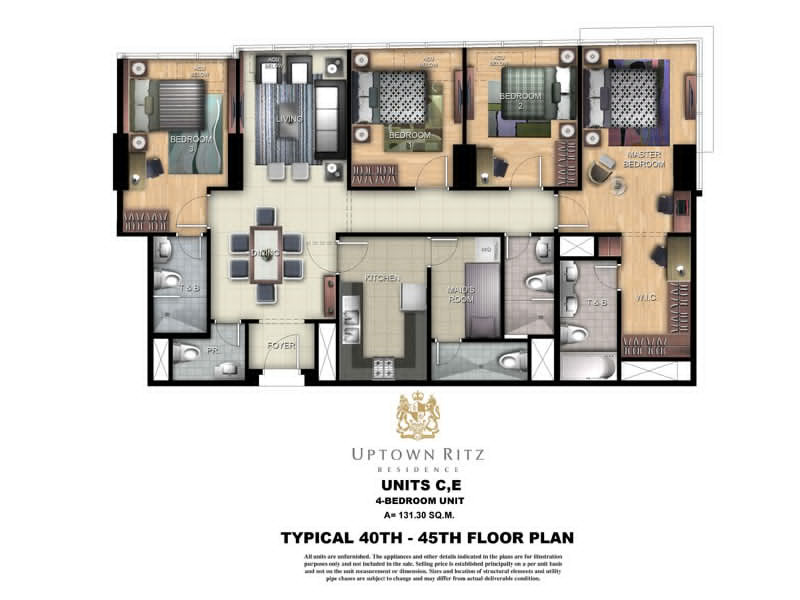 Uptown Parksuites has exclusive penthouse units that include a master bedroom with walk-in closet and full bathroom with bathtub, two more bedrooms and an optional fourth bedroom/den, another full bathroom, a functional kitchen connected to maid’s and driver’s quarters with dedicated toilets, and finally, a spacious living and dining area. 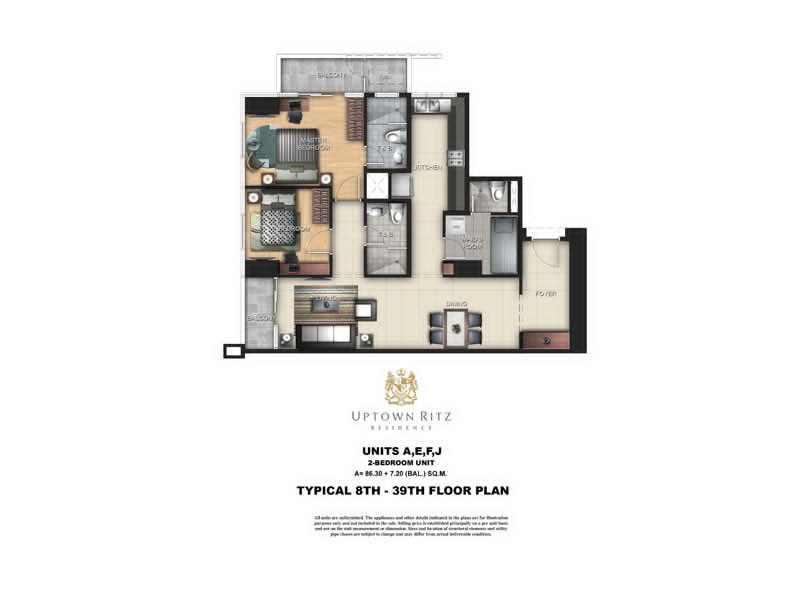 This entry was posted in Global City Projects, Uptown Bonifacio, Uptown Parksuites and tagged 18K, 1BR, 2BR, 3BR, bgc, bonifacio global city, condo, condos for sale, Eastwood, investment, megaworld, Near High Street, Near Makati, Near Ortigas, no downpayment, Parksuites, per month, philippines, preselling, property, Resorts World, Taguig City, Uptown, Uptown Bonifacio, zero interest on August 4, 2013 by Real Estate MNL Author. 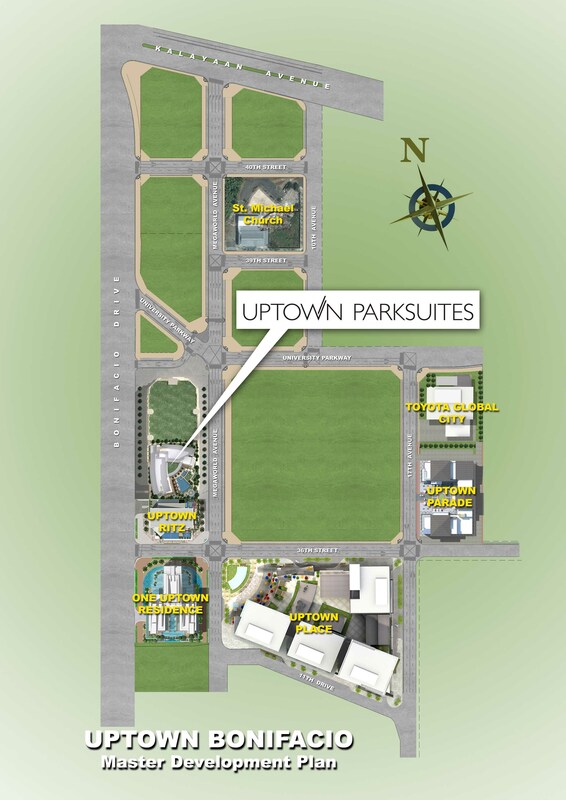 Paseo Heights offers community lifestyle by the park. 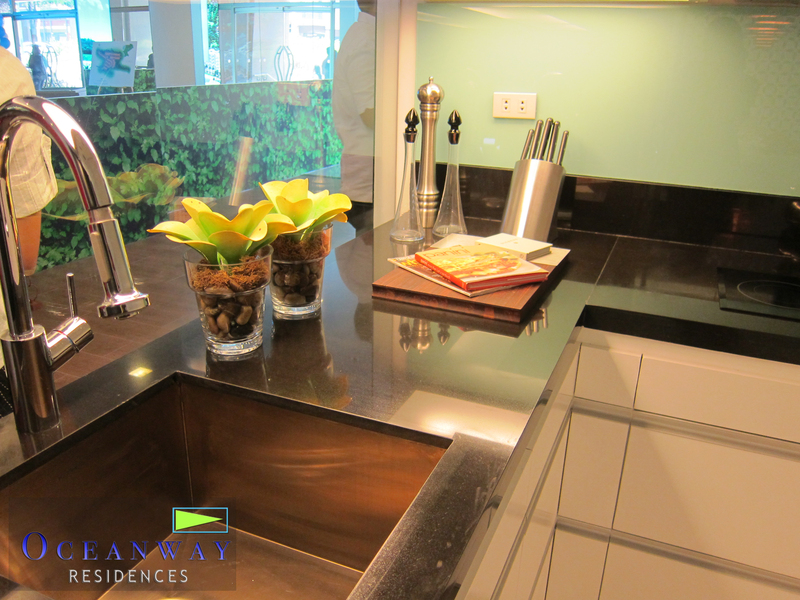 A privilege possibilities and pleasurable parkside living in the premier location of Makati CBD, where you live speaks volumes. 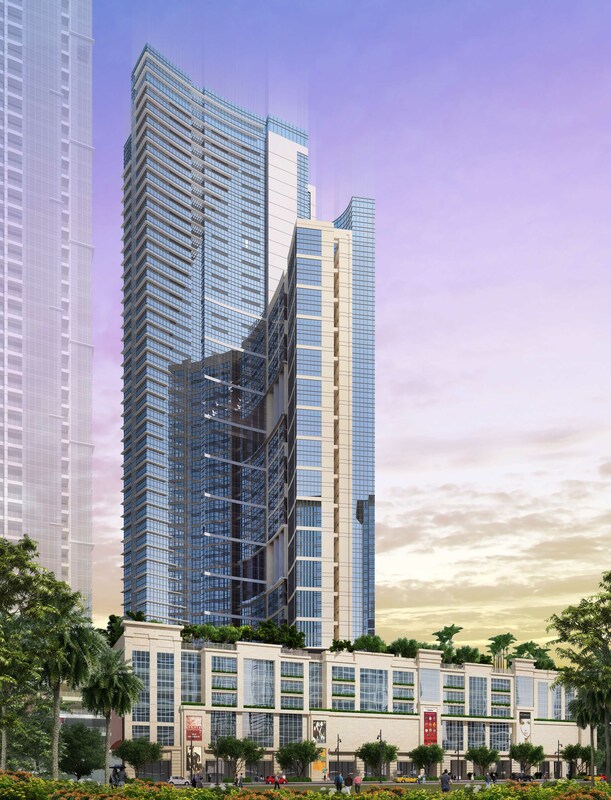 It smoothly drowns out the noise element of the Makati Central Business District (CBD), while enhancing the omnipresent sophisticated and elegance which a Makati commune should possess. 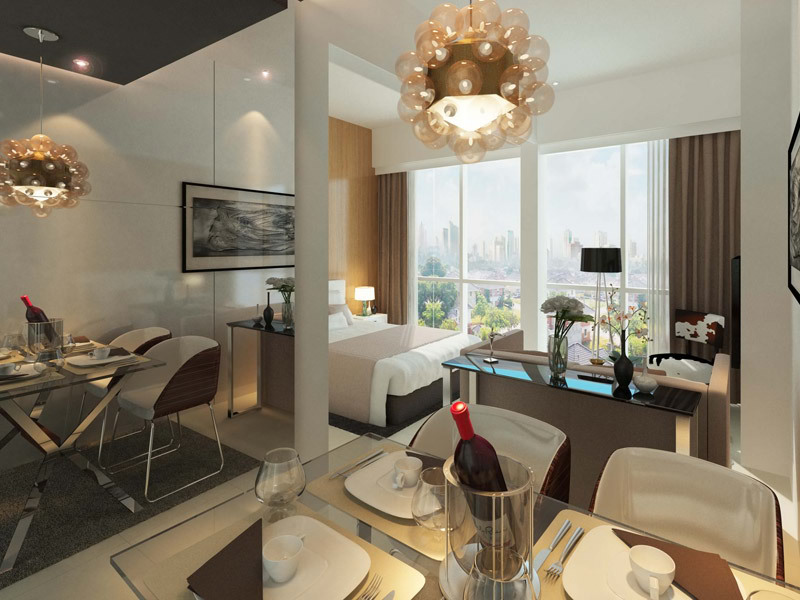 Fall in love with it’s 30 storey modern design to match your refined taste. 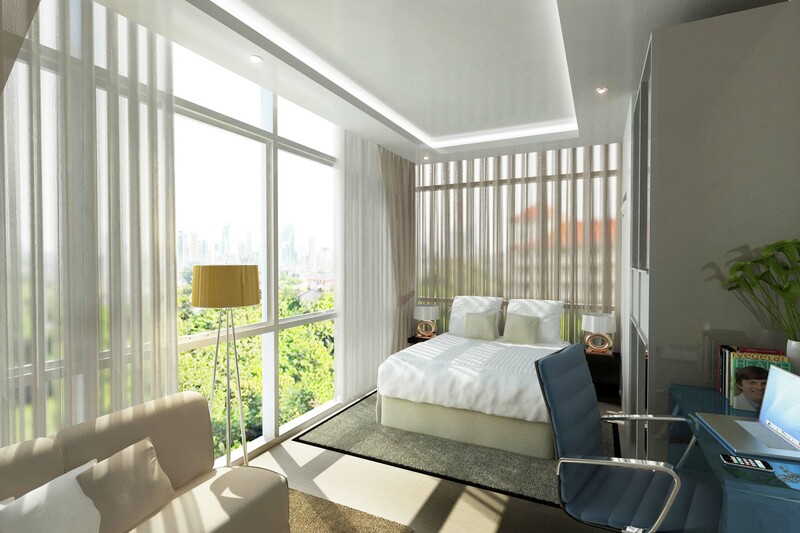 Come home to your choice of pre-furnished studios and two-bedroom homes that overlook treetop views of the park or the Makati Cityscape, and experience a new perspective on life in the MAKATI CBD. 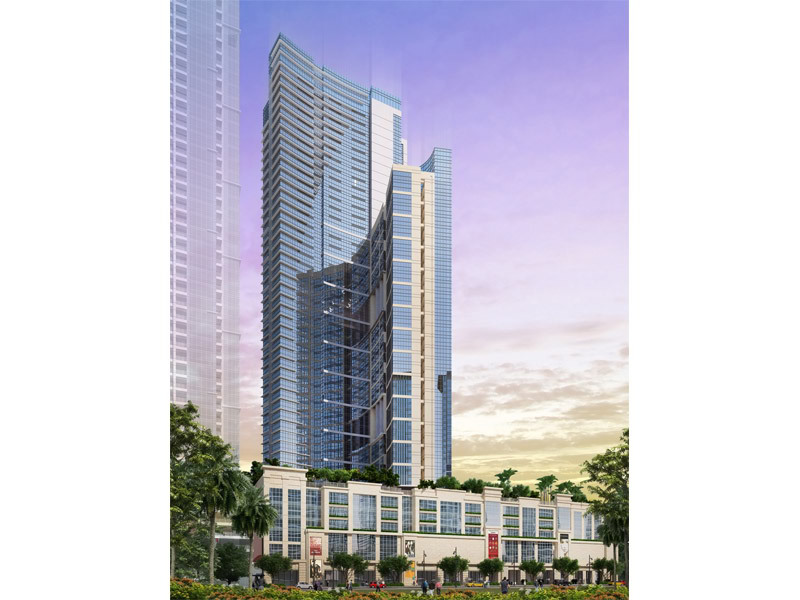 The 30-story tower is a modern vision, brought to life by sleek grid lines, neutral hues and a checkered grill pattern at the podium. 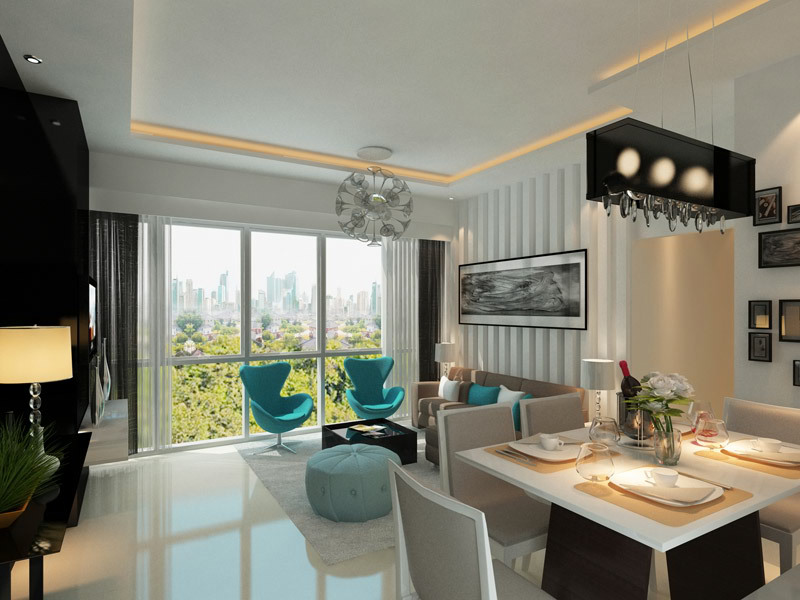 Paseo Heights features a confluence of well-chosen design elements, from floor to ceiling glass windows that offers treetop views of the Jaime Velasquez Park or the Makati skyline cityscape. 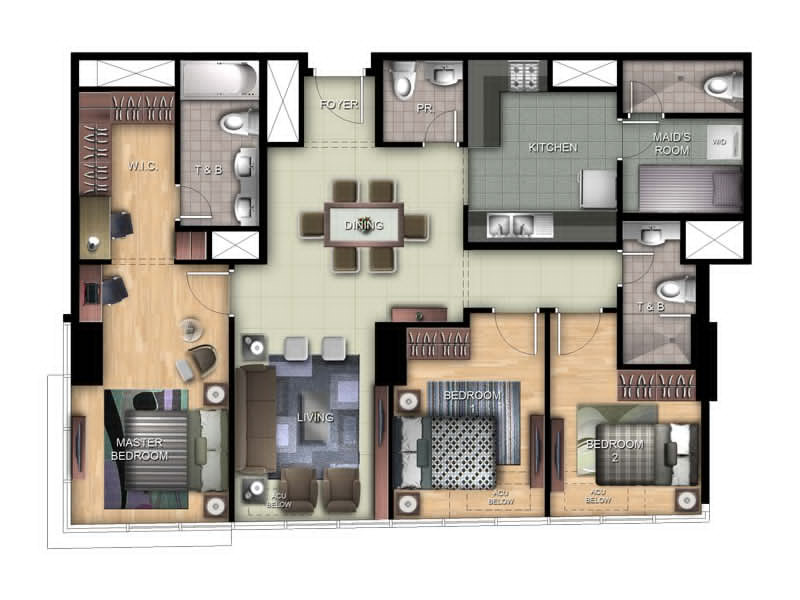 Total Gross Area: 16,710.30 sqm. 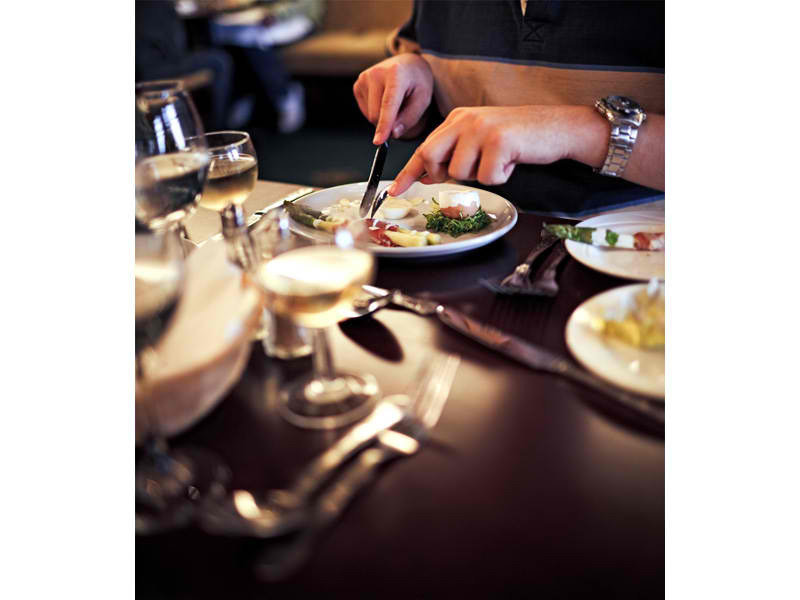 Your location in a word is unbeatable, your social status unparalleled. 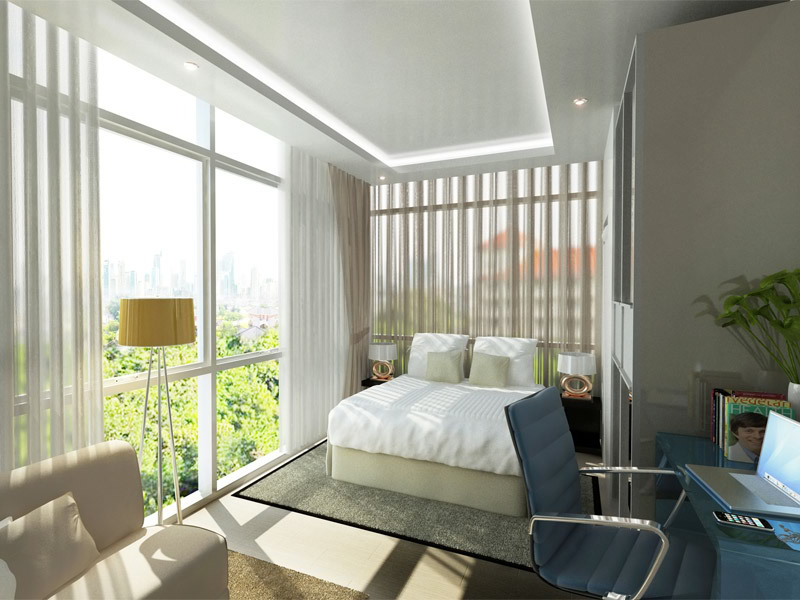 Set in the swanky Salcedo Village in Makati, Paseo heights links you instantly to both the financial heart and the cultural core of the CBD. 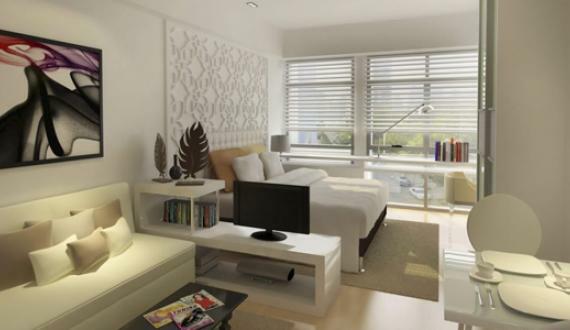 Everything that’s important in the Makati CBD is a few minutes away. 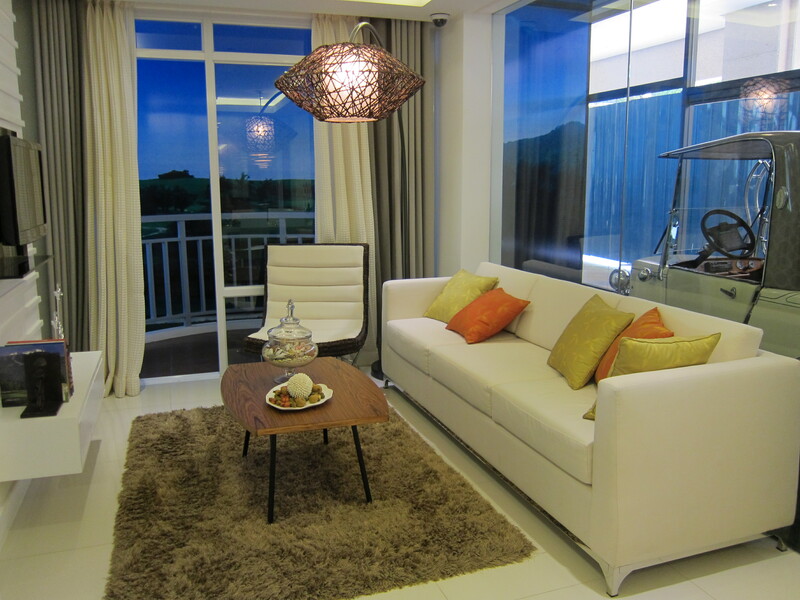 Paseo Heights is strategically located along, San Agustin and L.P. Leviste Street. It is fronting Velasquez Park. 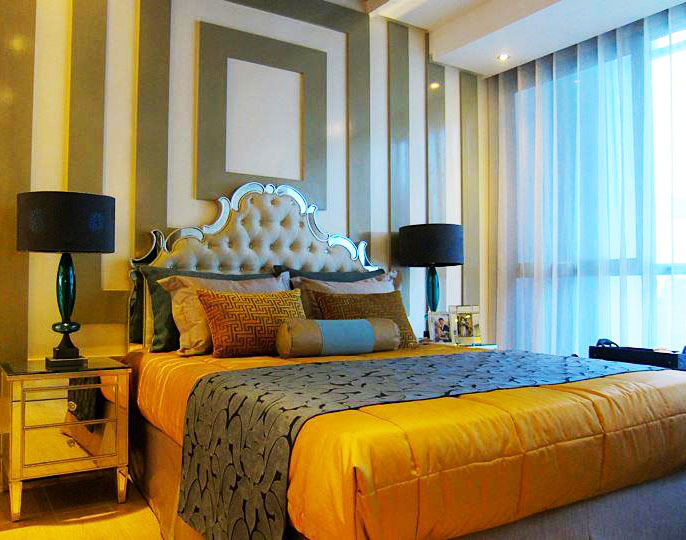 It is conveniently located a few blocks away from the World Centre, Paseo Centre, and the Makati Sports Club. 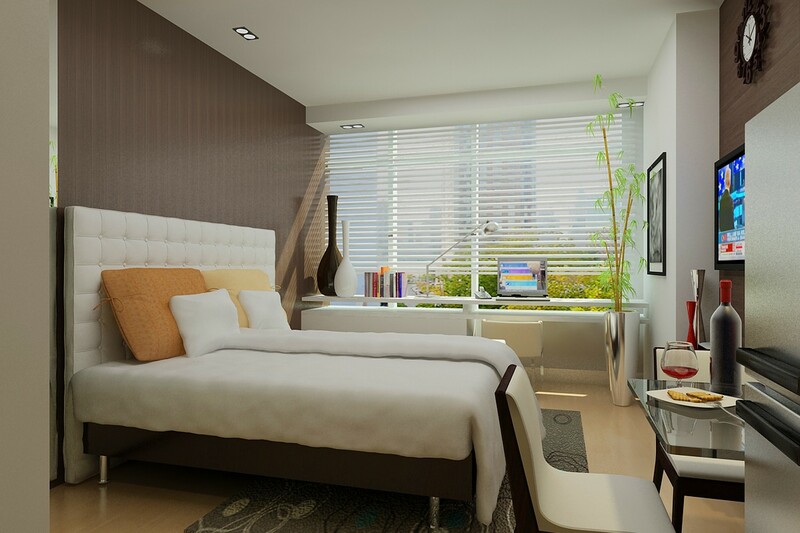 Paseo Heights links you instantly to both the financial heart and the cultural core of the Central Business District. 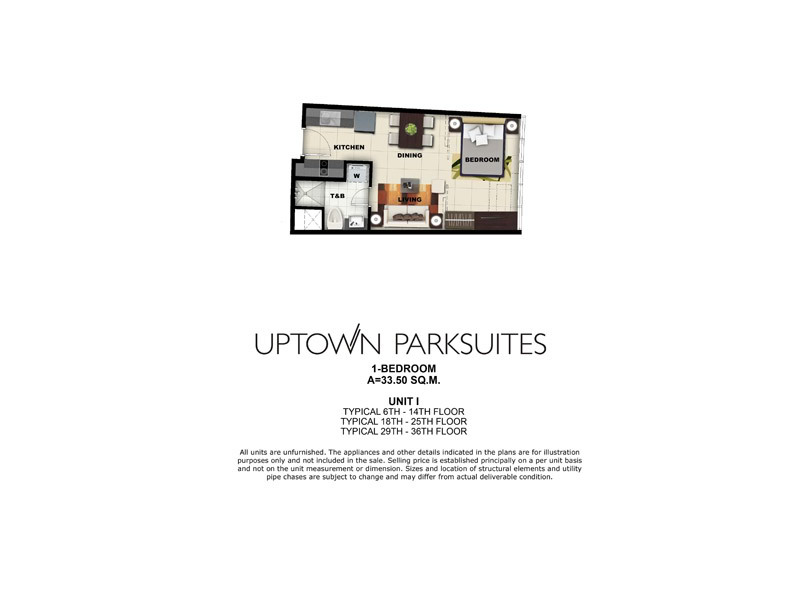 A superior address for the stand out crowd, your address enjoys an efficient road network that includes the main avenues of Ayala, Paseo de Roxas and Sen. Gil Puyat. 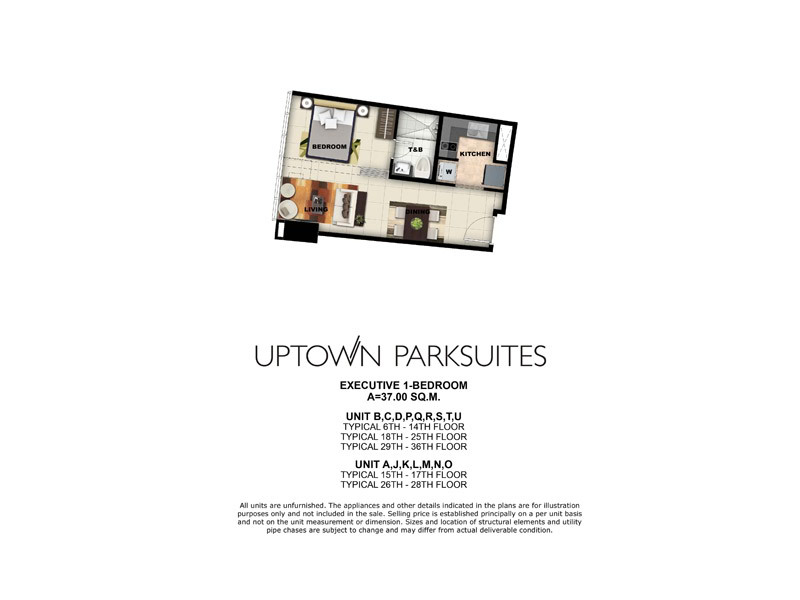 Minutes away from retail establishments in Salcedo Village and the upscale Greenbelt district, close to Citibank Tower, Makati Stock Exchange, RCBC Plaza, Petron Megaplaza and other top corporate centers, transform the cityscape into your own paradise with the SALCEDO PARK just a stone’s throw away from your lobby. 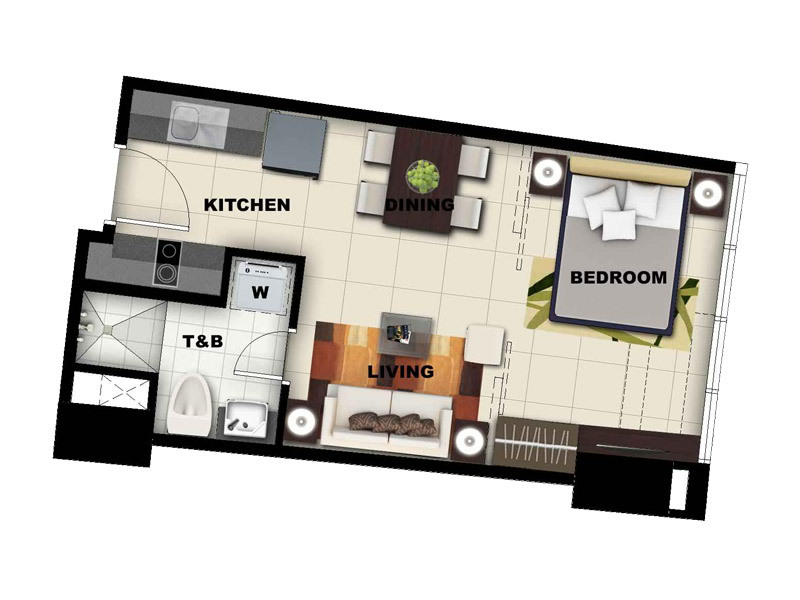 PHP 18,000/Month for the 1st Year. 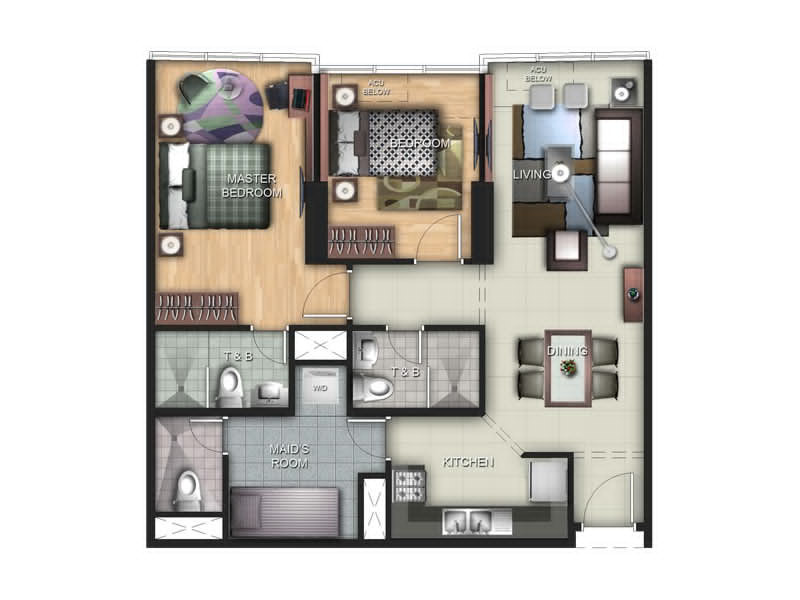 PHP 25,000/Month for the 2nd Year. PHP 30,000/Month for the 3rd Year. 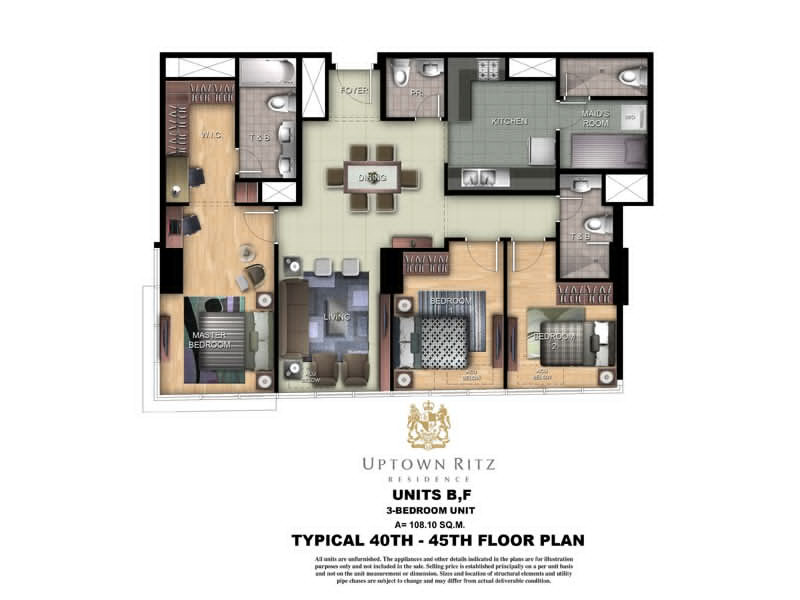 PHP 35,000/Month for the 4th Year. PHP 50,000/Month for the 2nd Year. 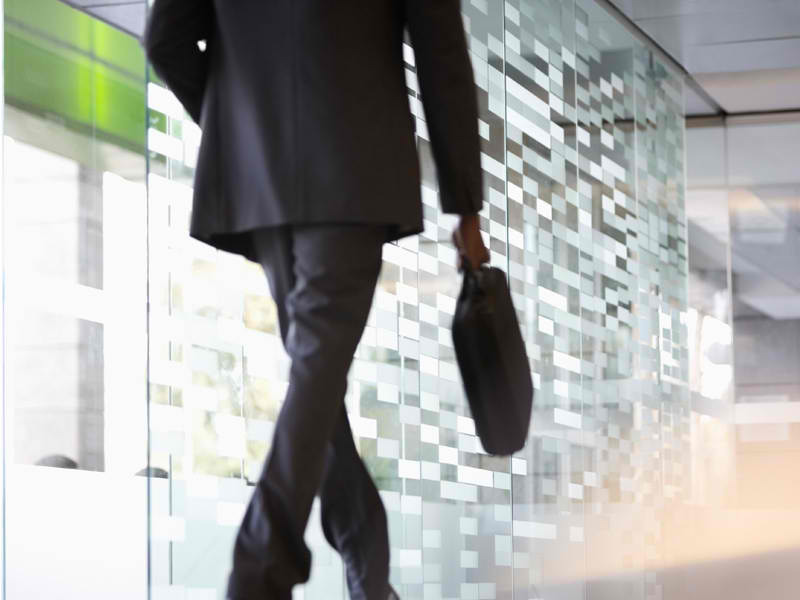 PHP 55,000/Month for the 3rd Year. 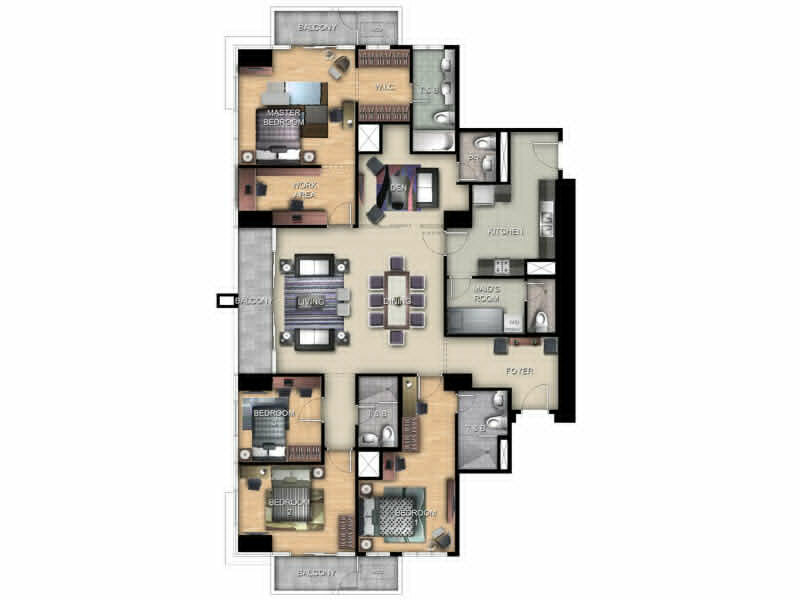 PHP 60,000/Month for the 4th Year. 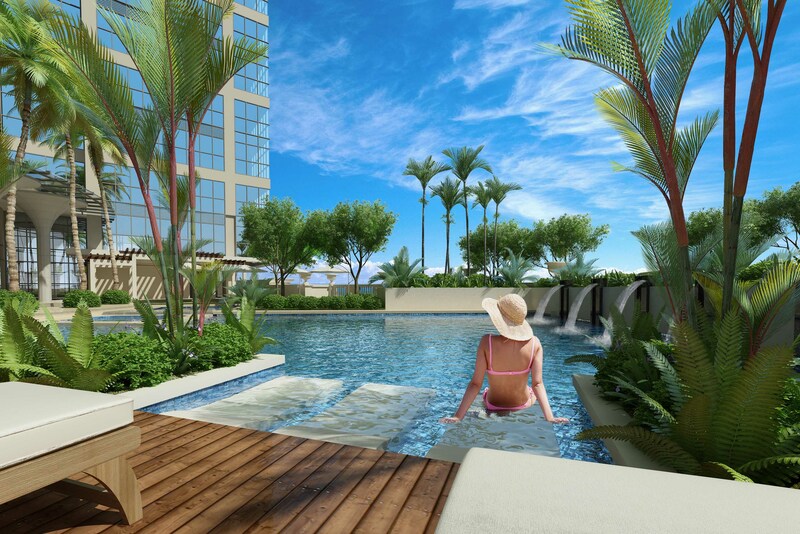 This entry was posted in Makati Projects, Paseo Heights and tagged angela junia, Best Condo, bgcmegaworld.com, condo, Condominium, For Sale, Makati, megaworld, Paseo Heights, philippines, preselling on March 17, 2013 by Real Estate MNL Author. 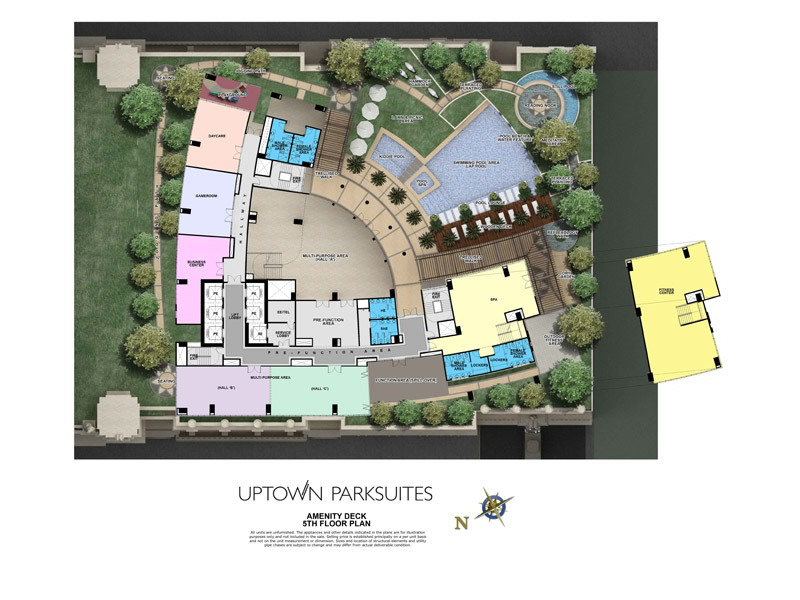 Nature is the driving inspiration behind One Uptown Residence. 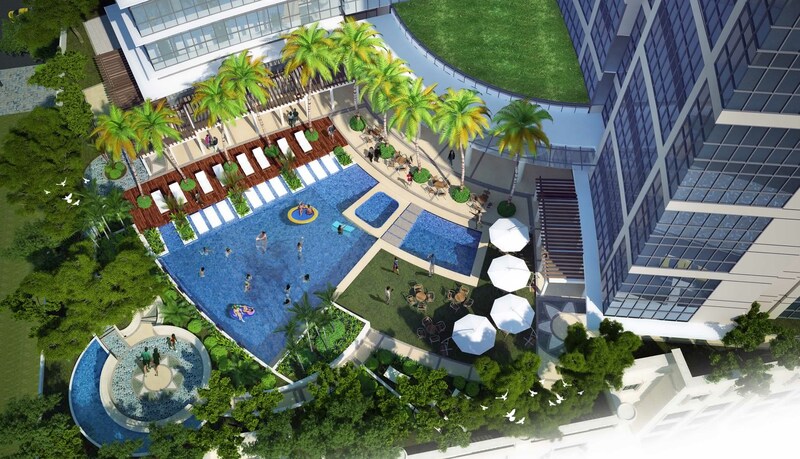 The elegantly wrought glass and aluminum exterior of One Uptown Residence features a 20-meter (6-storey) water cascade and man-made lagoon. 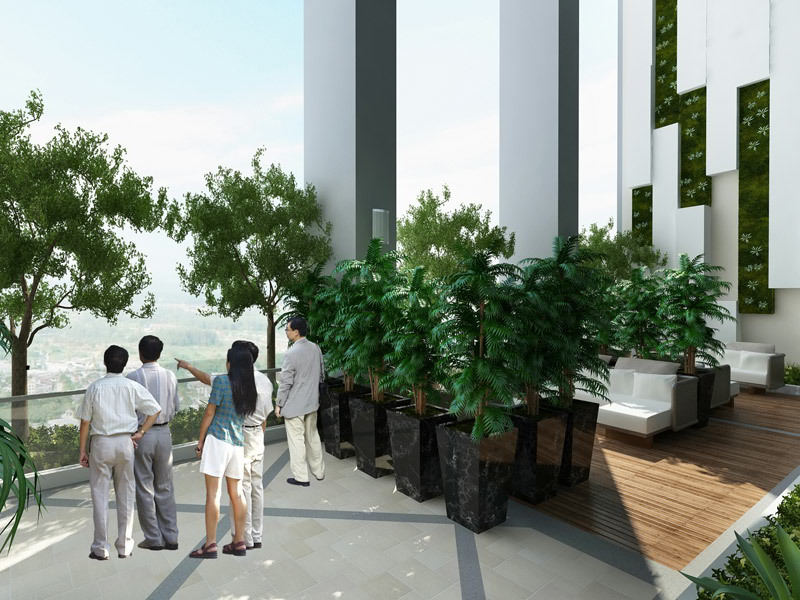 The building is also designed to include a green wall and several sky gardens that provide a refreshing diversion from the urbanized location. These, along with the building’s other comprehensive amenities, serve to harmonize the spirit of Mother Nature and the ingenuity of man. This interpretation of modernity seeks to inspire with its conservation of nature, and also to comfort with its elegant design and surroundings. 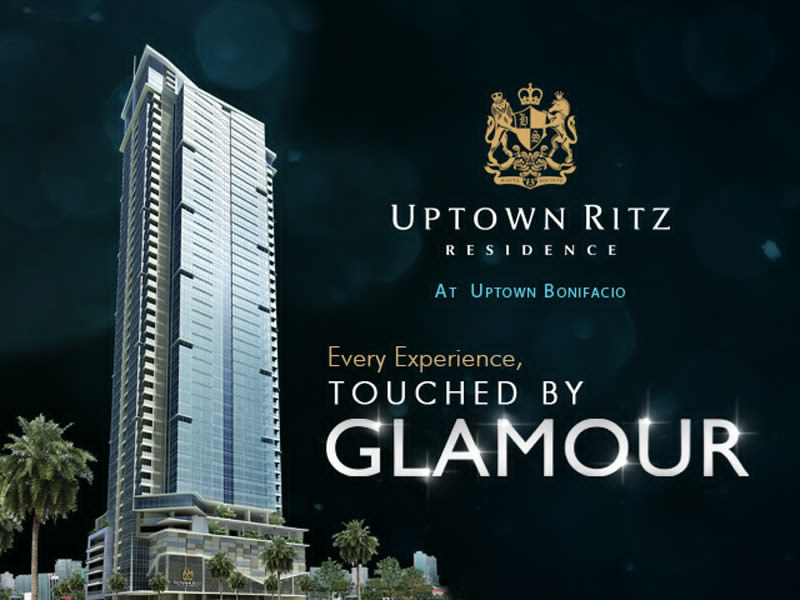 Live green and live luxuriously at One Uptown Residence, nature’s face of luxury. 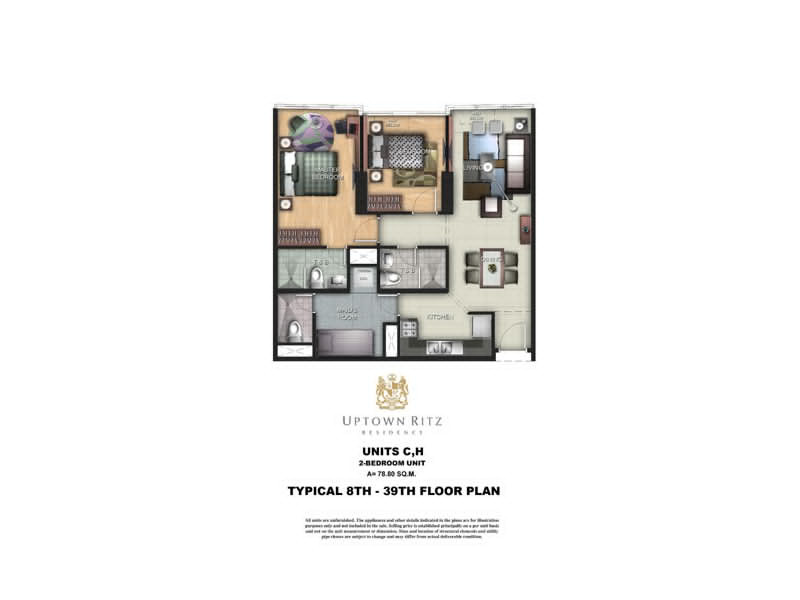 This entry was posted in Global City Projects, One Uptown Residence, Uptown Bonifacio and tagged 1BR, 2BR, 3BR, bgc, City, condo, condos for sale, Fort, fort bonifacio, Global City, investment, One Uptown Residence, OUR, philippines, property, taguig, Uptown, Uptown Bonifacio on March 17, 2013 by Real Estate MNL Author.